The wedding of Hilda Hennig and David Cohen, First Lieutenant, U.S. Army, was scheduled to take place in Darlington on October 17, 1918, with a formal dinner to follow. But when the lethal flu epidemic that was circling the globe broke out in South Carolina, the ceremony was moved outdoors. 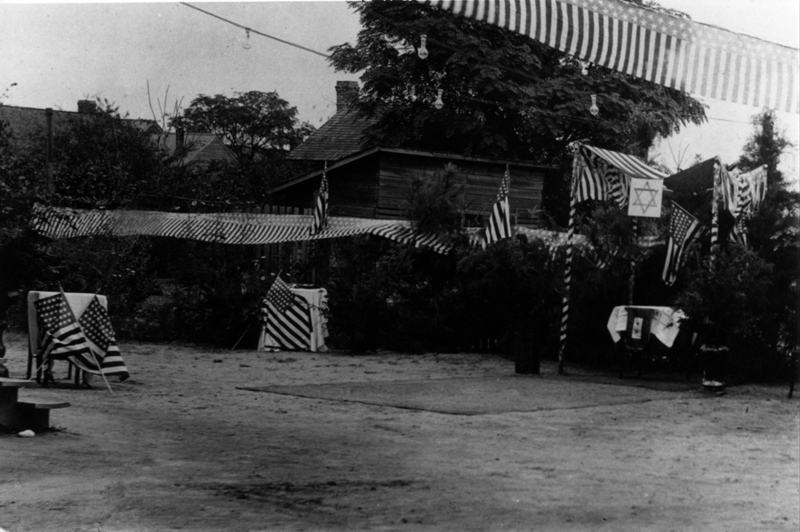 The Hennigs’ yard, recently filled with bales of cotton, was draped in patriotic bunting, with a Star of David gracing the makeshift huppah, or bridal canopy. The meal described in the printed menu shown on the following page was never served.